Antisemitism is never funny, but the reaction of the left-leaning Guardian newspaper to racism by the left is quite amusing. Yesterday, various student groups and unions protested against the government's increase in university tuition fees. These protests were less marred by violence than on previous occasions, but at one point the crowd insulted the president of the National Union of Students, Aaron Porter. Porter is a moderate who has publicly criticised some of the violent and extreme protests, well aware that they damage the cause. As the Guardian reports he was abused when he was due to make a speech and had to be escorted away by the police. The Telegraph reports that the crowds jeered him as a "Tory Jew", a common enough insult from the far-left and one repudiated by some of the other protesters. The Guardian quotes the crowd as calling Porter "a Tory too". I doubt that the Guardian is deliberately lying. But, it seems to typify the inability of many on the left to accept that the "student" protesters contain some extremely insalubrious elements. There is a brutal culture war in British education. On the left are the educational establishment wedded to outdated dogmas about child-centred teaching and government control. They are led by the National Union of Teachers (appropriately abbreviated to NUT) and Fiona Millar, partner of Tony Blair’s spin doctor Alistair Campbell. Unfortunately, these forces of reaction also include the Catholic Church. They all want to keep English schools exactly as they are, except for spending billions on shiny new buildings and paying teachers more, no matter how good or bad they are at their job. In effect, they want to keep poor children ignorant and underachieving. On the right are teachers like Katharine Birbalsingh, scandalously sacked from her job for speaking out against the establishment and Toby Young, who is trying to set up a free school offering a rigorous education to all local children in Acton. He’s better known as the real person whose memoir was adapted for the film How to Lose Friends and Alienate People starring Simon Pegg. Just how urgent the problem is for children from underprivileged backgrounds is illustrated by stark statistics. According to government figures, just 45 of children entitled to free school meals in 2002/3 (the standard measure of children from poor backgrounds and about 80,000 in total) got places at Oxford and Cambridge when they progressed in 2006/7. Other figures from the Sutton Trust found that only 130 such children got Oxbridge places over the three years to 2007. To put that in perspective, some top private schools manage to get 80 or so children into Oxbridge every year. Even allowing for genetic factors, this suggests that state education fails the most gifted of the needy. But there is hope. Mossbourne Academy in Hackney, one of London’s poorest boroughs, got ten pupils offers to Cambridge last year. Mossbourne is an independent school run within the state system with the freedom to hire good teachers (and fire bad ones); impose a strict disciplinary ethos and challenge pupils with a demanding syllabus. No wonder the left hate it. They like to pretend that it has achieved its success through covert selection of the brightest local pupils, a charge for which there is no evidence whatsoever. Mossbourne Academy shows why defeating the NUT, Fiona Millar and the other educational reactionaries is a vital battle for increasing social mobility in the UK. It also shows what is possible once bureaucratic shackles are cut, discipline asserted and children are allowed to reach their potential. Some on the political right believe that the problems started with the abolition of grammar schools. Under this system, which has been phased out since the 1960s but is still in force in certain parts of the country, children take an exam at age 11. If they pass, they go to an academic grammar school. If they fail (or didn’t pass with a high enough mark, using the current argot), they went to a ‘vocational’ secondary modern or comprehensive school. The system worked well for gifted poor children for whom grammar schools were a ticket to the middle classes. However, they failed late developers and children on the middle rungs on attainment. But ultimately, they were abolished because the existing middle classes got apoplectic if their children failed the eleven plus exam. Nonetheless, the combination of comprehensive schools and so-called liberal education policies has been a disaster for gifted children of parents who cannot afford to pay private school fees. Let us hope that Michael Gove, the Conservative education minister, with his strategy of freeing schools from bureaucrats and facing down the educational establishment, can repair some of the damage. Last year saw two new biographies about Galileo by the heavy-hitting professors David Wooton and John Heilbron. I briefly mentioned them in an article I did for Standpoint magazine and the Times Literary Supplement has a more in-depth review (although the reviewer seems ignorant of early modern cosmology with his comments about how Galileo downgraded rather than upgraded the position of the earth). Heilbron’s book, Galileo, is the more academic and traditional. He tends to underplay Galileo’s scientific achievements while noting that he had many other skills. The style is also rather stilted (Heilbron doesn’t seem to write easy books). He also indulges in post-modern nostrums such as imagined conversations between Galileo and his alter ego. I fear specialists will have to read this but others may find it heavy-going. I found Wootton’s Galileo: Watcher of the Skies, both more enjoyable and more interesting. Wootton’s last book Bad Medicine: Doctors Doing Harm since Hippocrates, is a masterpiece and although his Galileo never quite reaches those heights, there is plenty of food for thought. Wootton is also an excellent writer who makes reading his revisionism a pleasure. Most controversially, Wootton thinks Galileo was not a Christian, despite his protestations of loyalty to the Catholic Church. The evidence for this is rather thin and depends partly on a conspiracy theory. Wootton says that those of Galileo’s papers that incriminated him as a heretic were destroyed by his biographers keen to protect his name. Galileo overstated overstated his own achievements in the Dialogue and thus provoked the Church into condemning him. This view, which presents Galileo as an overreacher, seems to me essentially correct… The clash, when it came, was not between an impersonal institution, the universal Church, on one hand and a dedicated scientist on the other. Rather it was a falling out between friends, a just punishment, a betrayal. Galileo was indeed a heretic, but worse (for heresy was much more common than historians have realised), he was disloyal and ungrateful. In the world of Counter Reformation Italy, heresy often went unpunished; disloyalty and ingratitude, on the other hand, were never tolerated. His characterisation of the liberal Catholic school of Galileo studies (of which I am surely a member) is also illuminating. He says that we think Galileo was a better theologian than the Inquisition (because he correctly showed in his Letter to Grand Duchess Christina that scientific questions do not have to impinge on the faith). But we also think that the inquisition was made up of better scientists than Galileo (because they could see that Galileo had no proof that the earth moved when he thought that he did). While this is put rather bluntly, I must plead guilty as charged. And not even Wootton’s entertaining book has convinced me otherwise. Those with long memories will recall Richard Carrier's post back in January 2010 with the provocative title 'Flynn's Pile of Boners'. 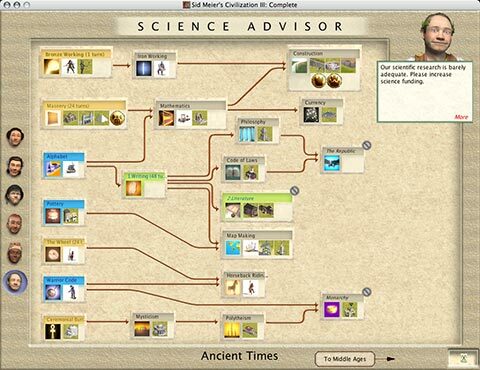 Unfortunately a lot of it seemed to rest on the assumption that if an invention originates in a particular culture then they get to claim sole ownership of it on the scoreboard of history (I don't know where this idea came from - perhaps the computer game 'Sid Meier's Civilization'). So, following this logic, the appearance of mechanical clocks powered by water in the ancient world thereby negates Medieval advances in clock making - 3 points to Rome, zero points to the dumb Medievals who end up with the Dan Quayle award. To see how silly this idea is, one only has to look at the example of gunpowder. Now gunpowder is indisputably a Chinese invention and was used to develop a range of military technologies that eventually spread to the Arab and Medieval European world. However the gunpowder revolution - the event which revolutionised warfare and transformed the world - took place in Europe in the Fifteenth and Sixteenth century. Before then hand cannons were of largely psychological use and as a general rule gunpowder weapons were not very effective. Descriptions of battles indicate they were more of an annoyance than a deadly menace. The real revolution where gunpowder became a war transforming weapon took place in France in the fifteenth century. The key advance was a new technique of manufacturing gunpowder, a process known as Corning first attested in 1429. This turned the powder into granular form and greatly strengthened it's power and performance. It could be more accurately measured and stored without the powder separating. When a flame touched the powder it would explode about 30% more efficiently as the fire moved from grain to grain. Furthermore the new style of powder could propel a bullet or a cannon ball with much greater force and guns became the lethal weapon they have been ever since. Because of increased recoil, the old way of holding a handgun with two hands in front of the chest was no longer practical. The Europeans solved this problem by developing the Arqubus (crooked stock) where the stock was bent down at an angle and could be nestled in the shoulder of the firer. This absorbed the shock and meant the soldier could sight down the barrel. This configuration was so effective it has not really changed in 500 years. The second innovation was the matchlock which allowed the weapon to be gripped firmly when fired. Corned gunpowder also allowed the development of more effective cannon. Long thin cannons were needed which could still fire a projectile. This was greatly facilitated by the high quality of European metallurgy in the fifteenth century. It was the experience the Europeans had in making church bells particularly which allowed them to develop this technology. Once the weapons made possible by corned gunpowder became established they had a dramatic effect on European warfare. It took a while because - although an arquebus could fire through armor - so could a longbow or a crossbow. 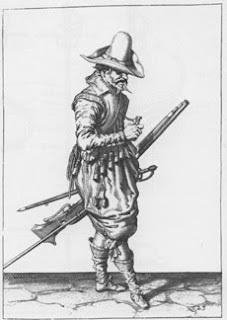 Both weapons competed for several decades but the arquebus would win out due to it's ease of use and psychological effect. Cannons with stronger yet longer barrels were now enough to destroy city walls and castles. This was brought home in 1453 when a huge cannon was cast for the Ottoman army by a Hungarian gunsmith and was able to breach the walls of Constantinople. During the French invasion of Italy in 1496 castle walls were destroyed in a matter of hours. Cannons were now small enough to go on a ship but powerful enough to cause serious damage. Galleons were developed which could deliver broadsides and this created a revolutionary type of naval warfare. The point of this is to demonstrate that when assessing the history of an invention we shouldn't merely look at it's earliest documented appearance but also key stages in it's development and it's take-up by different civilizations. Anyhow the reason I bring the post up is that I just checked back after some months and it appears the comments are still going over a year after it was first put up - mainly due to a bitter dispute between Richard and one Steve Kellmeyer. It's worth a read for a bit of amusement. I'm still due to post on the idea that the figure given for Domesday Mills is a wild over-estimate prompted by Christian Apologists seeking to aggrandize for Medieval Christianity - something that came as a bit of a surprise to the expert in Medieval Milling I emailed. Keith Parsons, "No Creator Need Apply: A Reply to Roy Abraham Varghese". Paul Herrick, "Job Opening: Creator of the Universe—A Reply to Keith Parsons". Anyone who follows the various historical debates over the Enlightenment will be aware of Jonathan Israel’s hulking 2 volumes, ‘Radical Enlightenment’ and ‘Enlightenment Contested’. These widely acclaimed works rejected the focus on the mainstream enlightenment - including such figures as Hobbes, Locke and Voltaire - in favour of the radical rationalism of Baruch Spinoza. 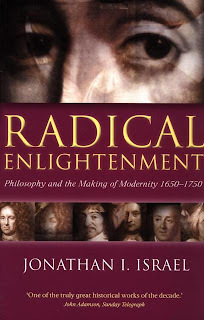 In this view Spinoza and the radical enlightenment – including Diderot, d’Alembert, Condorcet and Bayle - were the true originators of modern ‘Western Atlantic ‘values; individual liberty, universal equality, democracy and rationalism. The mainstream moderate enlightenment by contrast were fence sitters seeking to ameliorate the more radical elements of it’s opposing movement. This argument is probably the antithesis of Gertrude Himmelfarb’s book ‘The Roads to Modernity’ which saw the British enlightenment – centred on a humane social ethic - as on a more solid moral foundation than the Radical French enlightenment. In my opinion anyone who wants to wholeheartedly advocate the French Enlightenment has to deal with the fact that France after 1789 became a bloodbath; Israel does so by blaming the whole thing on Rousseau – which seems a bit harsh. My family had a wonderful two week holiday in Tunisia a little over two years ago. We stayed in the town of Hammamet which has now suffered considerable damage, according to the TV pictures. The heavy police presense when we stayed was undeniable but I did not find the atmosphere so oppressive as I had in Syria or the old USSR. That said, we knew it was a dictatorship and Ben Ali's potrait was everywhere to ensure we never forget it. At one point we were pulled over at a road block. My wife was driving but had left her driver's licence at the villa. This left both the policeman and us in a position of some embarressment. He wasn't supposed to hassle tourists and we weren't suppose to drive without carrying a licence. The conversation skated around this problem for a while. Eventually, I asked if there was a fine for driving without a licence. The policeman considered this carefully. "Twenty Euros," he said. We handed over the cash and drove back to the villa. It was only a bit later that we realised that the transaction between ourselves and the policeman probably wasn't entirely legitimate. But from that moment on, we never went anywhere without a driver's licence. We still have fond memories of the country and its superlative museum. I hope that the revolution leaves the Tunisians freer and with the potential to become richer. A little while ago, I did a short review of The Plan, a programme of political reform espoused by my good friend Daniel Hannan and Douglas Carswell. Dan is a member of the European Parliament and one of the leading thinkers on the right in the UK. The careful reasoning and refusal to be pigeon-holed make his excellent blog at the Daily Telegraph one that the left love to hate. Last year, he wrote a short book called The New Road to Serfdom for the US market (although I understand a UK edition is due out soon). The book gets its title from Frederick Hayek’s classic warning about socialism The Road to Serfdom. Like Hayek, Dan warns that the road is paved with good intentions. As far as he is concerned, being left wing is an intellectual and not a moral failing (although it is worth noting that most people on the left think the opposite about conservatives). The thrust of Dan’s book is that the US is exceptional in its wealth and the freedom of its citizens. The reason for this is to be found in a constitution that keeps power close to the people. Governments are not very good at doing much of what they do. So efficiency and liberty are both best served by decentralisation. Over here in Europe, we live on the continent of big government. Not content in allowing the central governments of each country to horde power, we have also allowed a super-bureaucracy in Brussels to lord it over us without a modicum of democrat control. All bureaucracies end up looking out for their own interests, not those of the people they are meant to serve. Thus, in Europe, we are getting steadily less free and relatively less rich. Across the Atlantic, Dan warns his US readers that their country is going the same way. Their leaders are taking power away from people and piling it up in Washington DC. This happens with the best of intentions, but the result is the same: the people become poorer both economically and socially. What is remarkable about this book (which has done deservedly well in bookstores) is that Dan has managed to turn a difficult and counter-intuitive political argument into a short and enjoyable book that you can read in one sitting. It is ideal for a plane trip across the country that it describes. This is Dan’s genius as a political thinker – not only can he sees past all the cant and hypocrisy, he can help his readers see past it as well. But not only Americans should read The New Road to Serfdom. As a defence of the American way, it is all the more convincing coming from a Brit. Dan attacks the knee-jerk anti-Americanism of many Europeans and exposes it as ill-informed bigotry. And when you have finished the book, his blog is well worth your time as well, especially if you like Shakespeare. Over at Butterflies and Wheels, there is a review and discussion of Thomas Dixon’s book Science and Religion: A Very Short Introduction. The book, published by Oxford University Press, won the Dingle Prize from the British Society for the History of Science last year. As far as I am aware, neither OUP nor BSHS are funded by the Templeton Foundation. The review is a bit of a rant, as you’d expect. But the discussion involves Thomas Dixon himself and is worth skimming through. Now the fuss has died down, I thought it would be worth setting out the links of my complete exchanges with Charles Freeman so that they can be enjoyed (if that is the right word) conveniently. It all started back in early 2006 when I was a humble PhD student and received a couple of emails asking what I thought of The Closing of the Western Mind. As it happened, I had already read it and so wrote a review explaining that I found it enjoyable but historically inaccurate. As is his habit following poor reviews, Freeman got in touch with me. At the time this was very flattering. There followed an email exchange which, with his permission, I published on my web site. Thereafter, we occasionally communicated and he sometimes posted comments on this blog. We next crossed swords at Tim O’Neill’s blog, Armarium Magnum in the summer of 2009. Tim wrote a highly critical review of The Closing of the Western Mind and, once again, Freeman responded. God’s Philosophers was released in August 2009, but Freeman did not produce his own review until October 2010. It weighed in at an impressive 17,000 words. I responded a couple of weeks later. Freeman himself then wrote a rejoinder to my response. Freeman continued the conversation for a while at Butterflies and Wheels where he appears to have acquired a new fan club. As for me, I am looking forward to his book on relics, Holy Bones, Holy Dust out in a few months. Following on from James's previous post, here is a hilarious discussion between some chap called 'the infidel guy' and New Testament scholar Bart Ehrman. Worth a listen if only to hear the professor get more and more irritated as the discussion goes on. ...and if you really have stamina and a heck of a lot of free time on your hands you can check out this thread on the 'rational skepticism forum' 'What can we reasonably infer about the historical Jesus?'. The website Patheos, a new US site that covers all aspects of religion, has published a retooled version of an article I wrote several years ago debunking the theory that Jesus never existed. This idea has been around for ages and has enjoyed new vigour as the internet helped it spread. I cut my debating teeth at Internet Infidels arguing over this with the likes of Earl Doherty and Richard Carrier. 4) Satirising the Christ Myth by using similar methods to show that Hannibal didn’t exist either. Unfortunately, much of this material is as relevant now as when I wrote it. The Christ myth has been endlessly reheated and so I can’t apologise for reheating the rebuttals as well. We must await Richard Carrier’s promised new book to see if he can bring anything new to the party.